Lässig Swim Diaper Boys multistripe 18 mo. Lässig Rashguard Short Sleeve Girls sailor peach 24 mo. 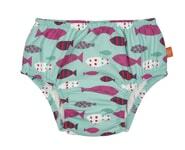 Lässig Swim Diaper Girls mr. fish 24 mo. Lässig Swim Diaper Girls polka dots navy 24 mo. Lässig Board Shorts Boys blue whale 12 mo. Lässig Board Shorts Boys blue whale 18 mo. Lässig Board Shorts Boys blue whale 24 mo. Lässig Board Shorts Boys multistripe 12 mo. Lässig Board Shorts Boys multistripe 18 mo. Lässig Board Shorts Boys multistripe 24 mo. Lässig Board Shorts Boys paper boat 12 mo. Lässig Board Shorts Boys paper boat 18 mo. Lässig Board Shorts Boys paper boat 24 mo. Lässig Board Shorts Boys small stripes 12 mo. Lässig Board Shorts Boys small stripes 18 mo. Lässig Board Shorts Boys small stripes 24 mo. Lässig Board Shorts Boys star fish 12 mo. 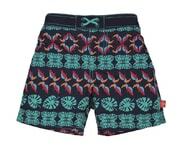 Lässig Board Shorts Boys star fish 18 mo. Lässig Board Shorts Boys star fish 24 mo. Lässig Board Shorts Boys viking 24 mo. Lässig Rashguard Short Sleeve Boys light blue 12 mo. Lässig Rashguard Short Sleeve Boys light blue 18 mo. Lässig Rashguard Short Sleeve Boys light blue 24 mo. Lässig Rashguard Short Sleeve Boys sailor navy 12 mo. Lässig Rashguard Short Sleeve Boys sailor navy 18 mo. Lässig Rashguard Short Sleeve Boys sailor navy 24 mo. Lässig Rashguard Short Sleeve Boys submarine 12 mo.